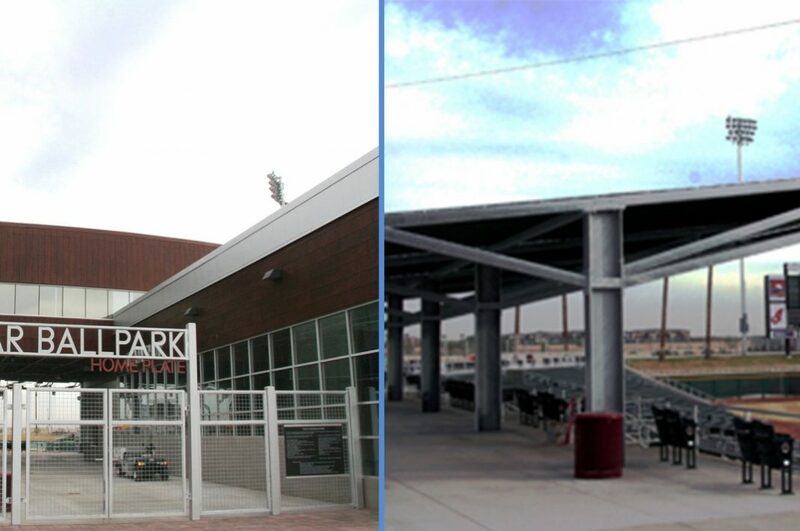 "The architect was able to provide the long lasting durability and corrosion protection of hot-dip galvanizing..."
After a gruelling, multi-city competition for the privilege of providing Spring Training facilities for both the Arizona Diamonbacks and the Colorado Rockies baseball teams, the winning bidder, Pima & Maricopa Indian Tribes, wanted an attractive facility that would hold up over time without excessive maintenance costs. 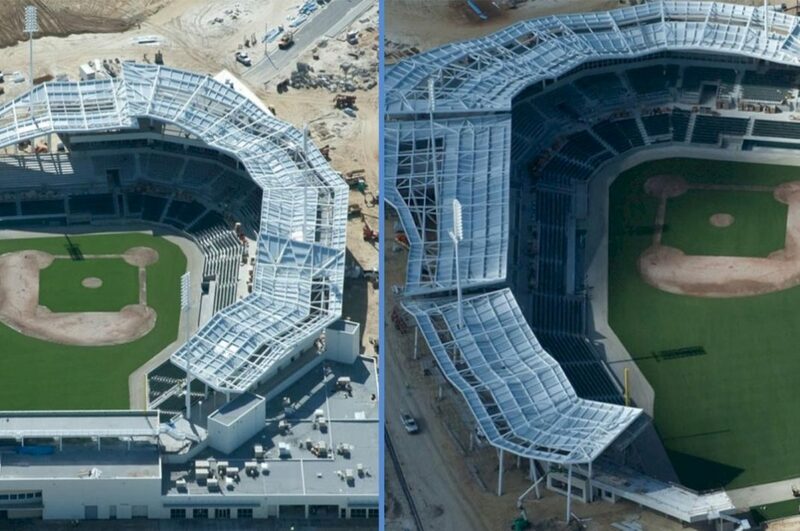 The teams committed to a 20 year agreement to the facility, although the duplex coating will protect the hot-dip galvanized steel much longer than that. By utilizing the synergistic effect of the duplex coating, the architect was able to provide the long lasting durability and corrosion protection of hot-dip galvanizing, along with the artistic and enviromental blending properties contributed by their selection of paint colors. Hot-dip galvanizing brings the durability of four alloy layers with 3600 PSI adhesion that provides three forms of corrosion protection along with "harder than steel" abrasion protection. With the safety of over 11,000 fans at stake each game for the next 20 years, there was no room for the potential hazards caused by corroding steel. Steps and Stairways were duplex coatings also. Handrails need the abrasion resistance of the HDG coating. The 140 acre scenic landscape includes HDG practice fields and batting cages. Roof trusses and beams, handrails, light poles, fence post and stand tables. Thank you! Your vote has been accepted.